Between September 2012 and August 2015 paediatrician Wieger Voskuijl and psychiatrist Ellen Bosnak have been permanently based in Blantyre, Malawi. During these three (academical) years, the two Doctors For Malawi worked as (senior)lecturers at the College of Medicine, University of Malawi. As faculty members of their respective departments they participated in education, clinical care and research. During each year between 80 and 100 medical students rotated through the departments of Mental Health and Paediatrics. The 300 4th years MBBS (Bachelor of Medicine) students were taught the basic principles of psychiatry as a medical profession. In an intense 6 weeks rotation, theoretical lessons such as lectures and problem based solving sessions were alternated with practice in interview skills and outpatient as well as inpatient clinics, which were supervised by Ellen. Besides Ellen invested a lot in curriculum development for this undergraduate teaching, improving both materials and the programme as such, for example in changing the methods of examination and improving the reinforcement of knowledge and understanding of the most important psychiatric themes. The postgraduate training in psychiatry had started just before Ellen joined the department. In this important development, the first 3 ever Malawian trained MMeds (Masters in Medical Specialist, psychiatrists in training)) obtain their specialist degree in a collaboration between the Universities of Malawi and Cape Town. Until now there had only ever been 1 (UK-trained) Malawian psychiatrist who recently retired. This meant that Ellen played a crucial part in 3 out of the 4,5 year of training, to help an increase of 300% in capacity building of psychiatrists for Malawi. Being in an extremely small department of at first 3 and later 2 psychiatrists, Ellen played a central role in educating both these Malawi’s future general doctors and psychiatrists. From the second year Ellen intensified her collaboration with the Scotland Malawi Mental Health Education Project and became involved in the development of e-learning materials for both undergraduate and postgraduate doctors. Apart from these core tasks in education, Ellen also took part in the continuous professional training of approximately 100 general nurses, 50 psychiatric nurses, 80 clinical officers specialising in internal medicine, 20 clinical officers specialising in paediatrics, always on the general themes in psychiatry such as recognition of psychiatric symptoms and management of common mental disorders. But also more general tuition took place, such as the training of twice 40 general clinical officers in HIV-related psychopathology, twice 30 obstetric nurses and midwives in perinatal psychiatry and for example 60 hospital guards in aggression management. During their last, 5th year, about 300 MBBS students joined the department of paediatrics and childhealth for a period of 10 week. Firstly as a general supervisor in the malnutrition ward and on the general wards, Wieger taught the students the essential features of clinical reasoning and skills during daily bed-side teaching as well as during frequent on-calls in evenings and weekends. Later, Wieger also became the 5th years coordinator within the department and as such responsible for composing exams. On the themes of malnutrition and body-measurements (antropometry) Wieger also taught 2nd and 4th years medical students in lectures. On the severe malnutrition ward, there has been continuous clinical teaching for nurses, training nursing officers, clinical officers and nutritionists, always supervised by Wieger. 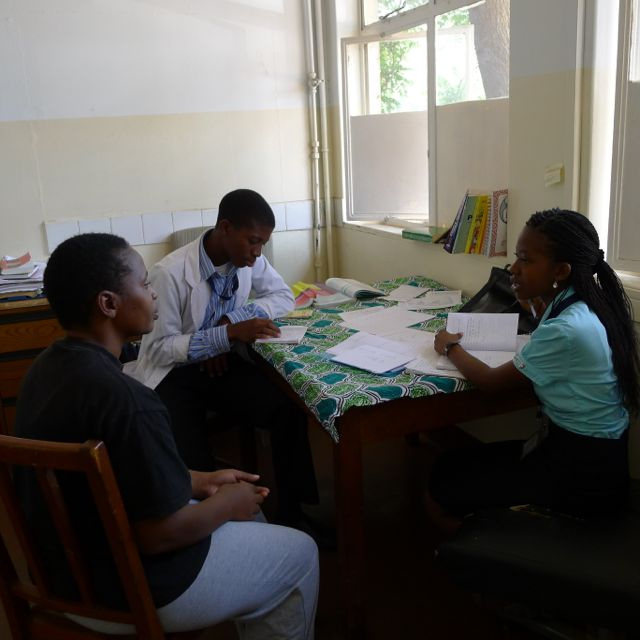 Being 1 of 10 paediatricians, Wieger took his part in the training of a total of 10 future: Malawian paediatricians, both in theoretical teaching as well as clinical supervision. In clinical care, between 2012 and 2015, Wieger has been responsible for the care of about 3000 severely malnourished children who were admitted on Moyo Ward, at Queen Elizabeth Central Hospital. Despite meticulously following WHO guidelines, the mortality has remained about 20% as it has been over the last decade. Straight forward food-shortage is rarely seen at Moyo ward, most children have at least 2 or more co-morbidities in addition to the food insecurity. HIV, TB, pneumonia, severe diarrhoea and cerebral palsy (mostly malaria related) are the most commonly encountered challenges in the malnourished child. During the frequent on-calls for the whole hospital, Wieger was responsible for the clinical care of about 300 to 350 children on seven paediatric wards in evenings, nights and weekends. Being a tertiary referral centre, Queen Elizabeth Central Hospital takes care of the most severely ill children from the Southern region of Malawi (4 million inhabitants of which 50% is under 15 of age). Additionally, Wieger has been regularly following up about 80 outpatient children with sickle cell disease. Those children can suffer from damage to various organs caused by obstruction of their blood vessels due to sickling of red-blood vessels. 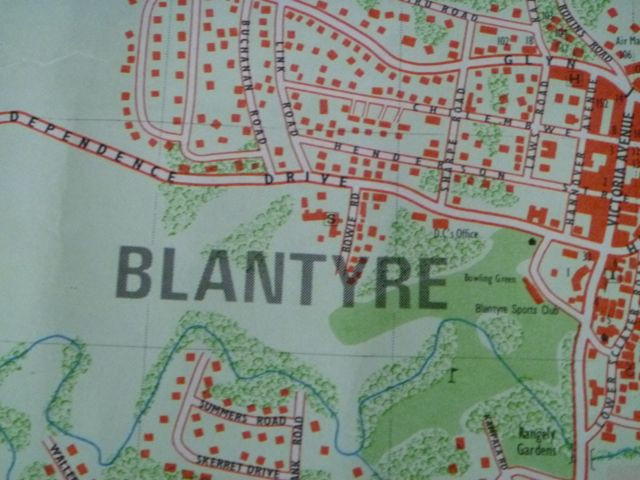 During the 3 years in Blantyre, Ellen has been one of two to three psychiatrist for the entire country. She has continuously shared responsibility for the clinical care of more then 20.000 psychiatric outpatient consultations at Queen Elizabeth Central Hospital with one fellow psychiatrist. Follow up consultation, but also very often acutely ill patients presenting for the first time. This included patients suffering from for example psychosis, mania, (severe) depression or confusion due to HIV or other illnesses, who were seen, diagnosed and managed accordingly. In research, Wieger has built up a local team with whom he has performed four clinical trials so far. 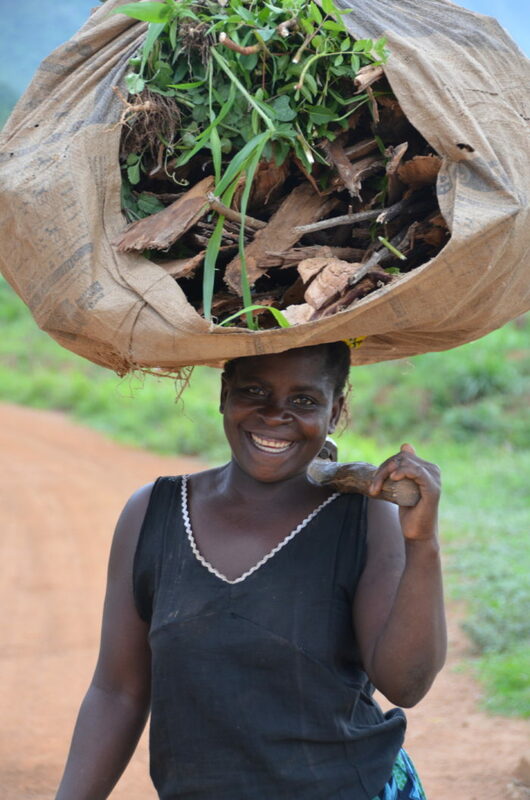 Supervising 15 Malawian team members, Wieger has started to establish local ownership and guaranteed capacity building. Looking into improvement of treatment options and studying the pathofysiology of severe malnutrition, an international collaboration has been established with hospitals in Canada and Kenya. For the future, the three main goals of education, clinical care and research have been secured. Ellen will continue her collaboration with the College of Medicine and the Scotland Malawi Mental Health Education Project in their joined effort to further develop elearning recourses. She will maintain a position as a Visiting Honorary Lecturer, to ensure further partnership with the College of Medicine while she works as a consultant psychiatrist and a lecturer at the Amsterdam Medical Centre and the University of Amsterdam from September 2015. As part of the Global Child Health Group and Honorary Senior Lecturer at the College of Medicine, Wieger will stay very much involved in malnutrition clinical research in Blantyre. Moyo Malnutrition Ward, under supervision of Wieger, will be one of 5 clinical sites forming a malnutrition research network together with fellow researchers in Toronto, Kilifi and Mombasa (Kenya), Dhacca (Bangladesh) and Pakistan. This collaboration, supported by a grant from the Bill and Melinda Gates Foundation, will further investigate the relationship between severe illness and malnutrition.